On the evening of Oct. 27, the annual Miss Gay 90’s Pageant took place at the La Femme Show Lounge upstairs in the megabar. Brandonna Dupri-LaReese was emcee for the event. La Femme show director Prada Diamond made several stunning appearances throughout the night. Nine lovely contestants competed for the title, the most coveted one among local bars. Categories were evening gown, question and answer, and talent. Mercedes Iman-Diamond won first place. Domita DeBaun Sanchez from Des Moines, Iowa, was first runner-up, and Martina Maraccino was second runner-up. At this year’s pageant, Kamaree Williams, Miss Gay 90’s 2015, stepped down from her title after a successful reign; she is also the reigning Miss City of the Lakes 2016 until next June, the first time in memory that a titleholder has worn both crowns simultaneously. 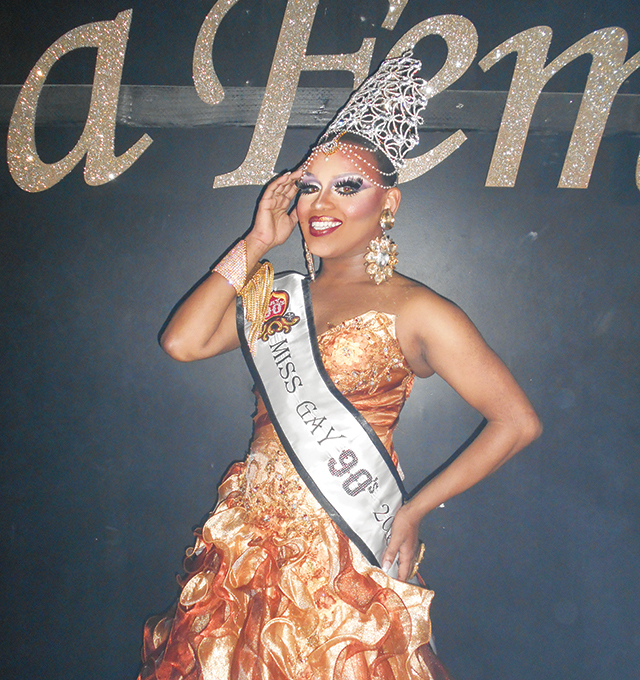 All in all, the pageant was a highlight of Halloween week festivities at the Gay 90’s.